Madam Nur Jehan was not only a great singer but also a great lady. God had been generous to her. He gave her a sweet voice and a feeling heart. During my forty-five year association with Radio Pakistan’s Lahore station, I came to know and became friends with many musicians, singers and composers, who always remained my favourite people. Madam Nur Jehan was one of those whom I came to know well and in whose company I was privileged to spend many memorable hours. However, I always kept myself at a respectful distance in the sense that I never took liberties with her and always treated her with the deference that I thought was her right and due as one of the greatest singers of our times. Since in the early days of Pakistan, almost her entire time was taken up by movies and recording studios, we did not see much of her at Radio Pakistan, but since I also wrote for the movies, I often ran into her at Lahore’s studios. Many were the occasions when I heard her recording a song. I would also get frequent opportunities of sitting around and listening to her. The musicians who were close to Madam also happened to be my good friends, which enabled me to get to know her as a human being. She was an artist of great sensitivity and she felt as moved by certain human situations as others did while listening to her more poignant songs. Three musicians who were particularly close to her were music directors Hasan Latif and Tufail Farooqi, and violnist Achhi. She was great friends with all three and often exchanged banter with them. She was also close to Baba Chishti, but since Baba Chishti I treated with the deference that one owes to an elder, I would wait for him to talk about Madam rather than put direct questions to him. He would sometimes tell us interesting stories about her. He himself was a fascinating man but he deserves a separate column, which I will one day write. This column is Madam Nur Jehan’s. She was at heart a simple, innocent woman of great sincerity. I always thought of her as a lotus floating above the water’s surface that doesn’t get wet. While singing, if she touched a particularly tender note, her face would light up. Sometimes it would bring tears to her eyes. I recall Madam rehearsing a song in the recording room of Evernew Studio for a Hasan Tariq film. Since Tariq was a good friend of mine, I was also present there. It just happened that the number she was rehearsing was based on the same raag as that most poignant of her Punjabi songs recorded during the 1965 war – ‘Aye puttar hattan te nahin vikday.’ Suddenly, she slipped into that sad and moving hit, but so overcome was she at the memory of those who had died in that war, that she did not complete that day’s recording and the shift was brought to an end. Although I had seen Madam in the movie Gul Bakauli when she was known as Baby Nur Jehan, the first time I saw her in person was at the Moonlight Cinema in Calcutta in a live performance singing a devotional song that first brought her to public attention. Its opening line was: ‘Roshan hain sitaray, Ya Shah-e-Madina’ and Baba Chishti once told me that it was not only his composition but even the words were his. The Moonlight Cinema was located at the back of Zakariya Street and Lower Chaitpur Road. Zakariya Street was where Amritsar’s Kashmiri traders sold their fine peshmina shawls. I was about fifteen or sixteen at the time and one of my uncles was in this business. I was staying with the family for a few days and I had gone to the Moonlight Cinema with one of my cousins to see and hear Baby Nur Jehan. The backdrop showed sparkling stars and there this little girl with the silver voice stood, singing her heart out. It was Master Ghulam Haider, whose compositions honed Nur Jehan’s genius and brought her to that high pedestal that remained exclusively hers for the rest of her life. She was called Melody Queen because she indeed was that. It was a title given to her by her adoring fans. After independence, in Lahore for a year or two, her star may have dimmed somewhat. but then came the union of her voice with the musical genius of that master composer, Khawaja Khurshid Anwar, perhaps the most melodious of music directors. Some of the most memorable songs she sung during the 1965 war which not only moved the nation but also strengthened the resolve of the soldiers who were in a war where at stake was the country’s very survival. 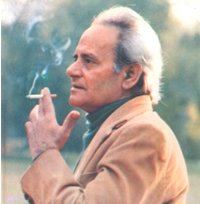 The song ‘Aye watan kay sajeelay jawano’ was composed by Mian Sheheryar, while ‘Rung laye ga shaheedoon ka lahoo’ was Salim Iqbal’s work. The opening line of ‘Aye puttar hattan te nahin vikday’ was borrowed from a famous Punjabi folk song, with the rest of the lyrics written by that great maestro, Sufi Ghulam Mustafa Tabussum. It is one of Madam’s most beautiful and most tender songs. When it was being recorded, besides Madam, others in the Radio Pakistan studio were Hasan Latif, Salim Iqbal, Mian Sheheryar, sitar player Kalay Khan and I. Several times, she was so overcome by the words and the music that she had to pause. My friend Achhi the violinist told me that one of the second-tier musicians was a poor, middle-aged man who used to play a minor instrument. Every music director tried to include him in the orchestra because they wanted him to have work so that he could feed his family. He had borrowed Rs. 10,000 once from a moneylender for his daughter’s wedding but because he had been unable to replay the loan with interest, the figure had now reached twice the sum borrowed. Finally, the moneylender had the musician’s nephew abducted. The man stopped coming to work, something that Madam noticed. When she learnt from Achhi what had happened, she gave him the entire sum so that the boy could be recovered and the man could come back to work.